Here in Australia we are hearing more and more about hempcrete, a combination of industrial hemp and lime that ticks the box on sustainability on just about every aspect of its use as a building material. It has a good rating in terms of strength and is also extremely fire resistant. 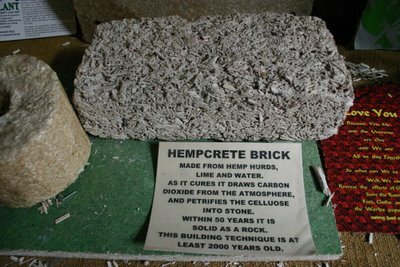 But here’s the best bit, hempcrete is an excellent insulator, it allows the house to breathe unlike other materials such as concrete or bricks. So the humidity equalises which means that little in the way of heating or cooling is required even in the most extreme environment, and mould is simply not an issue! So economy in the long-term as far as efficient use of energy goes, is also a feature of this excellent building material, with the cost of electricity going up this is no mean saving. And the fact that the hempcrete holds on to carbon means that it ends up carbon negative even though the lime has been burned, why would you use anything else really! The initial cost may be more, although it is not difficult apparently to learn how to do it yourself and so you can save in that way, Johan from Hempcrete Australia trains people in how to do it. But over time you can save up to 70% on your energy consumption in a house made with hempcrete. And I personally really like the rendered finish which is the cheapest option, for me it would also be the best option because it looks great, I would be choosing whichever finish helped the house to merge into the earth, into its surroundings. So as far as the house goes, we have a building that looks good, may not require heating or cooling even in quite extreme climates, which will do well in areas where bush fires are a seasonal danger, and that score very highly when it comes to efficient use of energy. Being carbon neutral is also a pretty big plus, I have a feeling that hempcrete is going to be a popular part of future housing, it seems to make sense in all different kinds of climates. 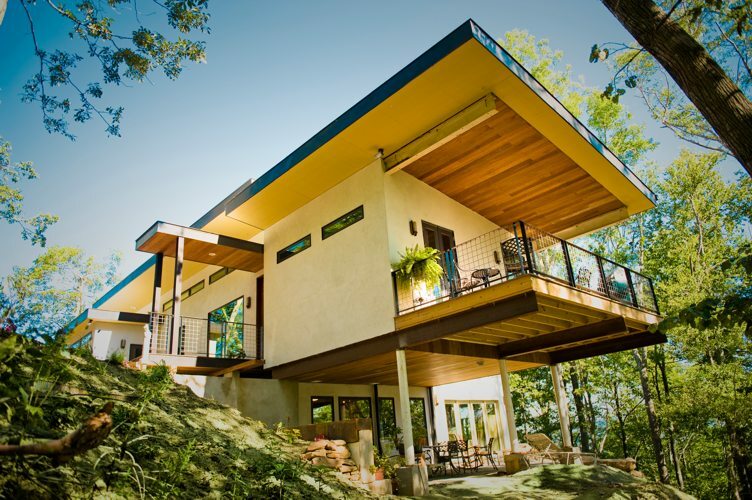 A house made with hempcrete. The benefits of hemp as a crop go on but the agricultural side of things will have to wait until another post, just be assured that the sustainability benefits of hemp go on and on, and on, and on…………. 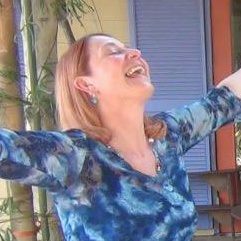 In the meantime………don’t forget to breathe!